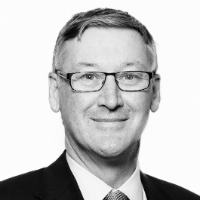 Terry has practiced extensively in revenue, superannuation and commercial law as a partner in Blake Dawson and then as a member of the Victorian Bar. He has appeared in a number of leading tax cases and between December 2008 and December 2010 was appointed Special Counsel to the Australian Taxation Office. He teaches the subjects 'Taxation of Trusts' and 'The Tax Commissioner as Administrator'.